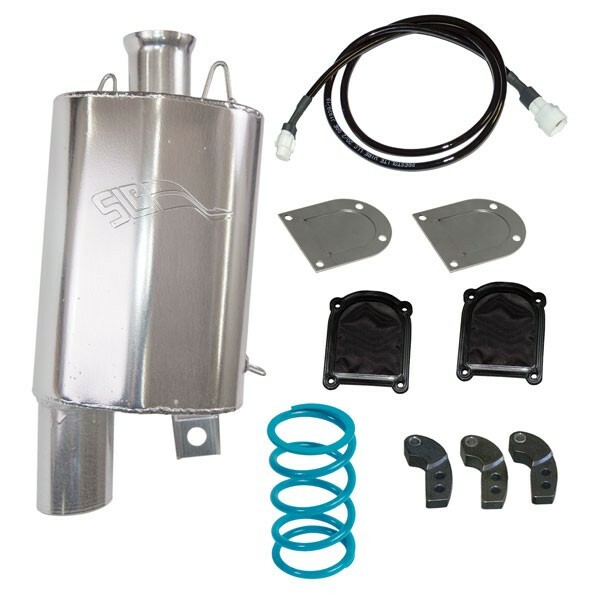 This Stage 1 package features our lightweight silencer which sheds 14.8 pounds off the front end of your Cat by utilizing new SLP Era 2014 Silencing Technology. It is ceramic coated to reduce radiant heat and looks great. To improve throttle response, top-end power and consistency, we added the SLP High Flow ™ Intake Kit. At elevations from 6-8000' for the M8, this kit also includes an SLP PowerShift™ Clutch Kit for smoother shifting and excellent performance.